2017 was an exciting year for new equipment at Bandit Industries. The ZT1844 is taking the stump grinding market by storm with its compact frame on turf-friendly rubber tracks. It features all the power and performance of every Bandit® stump grinder, but with features that make it an ideal machine for rental companies or dedicated stump grinding professionals. The Model ZT1844 is equipped with an 18” diameter Bandit cutterwheel featuring Green Teeth. Electronic engagement means it’s as simple as flipping a switch to engage the cutterwheel. And the rubber track undercarriage means this machine can travel through uneven and rough terrain while still taking it easy on delicate lawns. “We have two engine options available on the ZT1844,” Morey said. The hand-fed chippers that make up the XPC Series include the Model 12XPC, the Model 15XPC and the Model 19XPC. Each is designed for ease of use, power and portability. 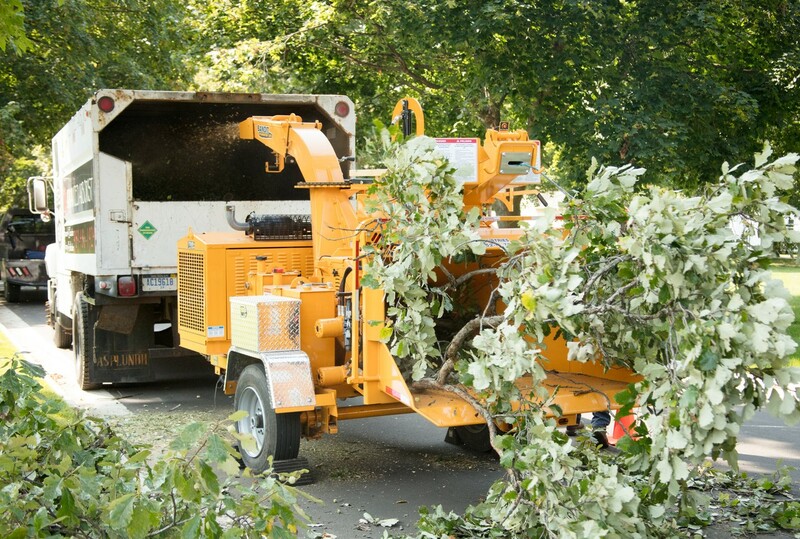 Tree care professionals, municipalities and rental companies seeking a compact-yet powerful 15” capacity drum chipper turn to the Intimidator™ 15XPC. 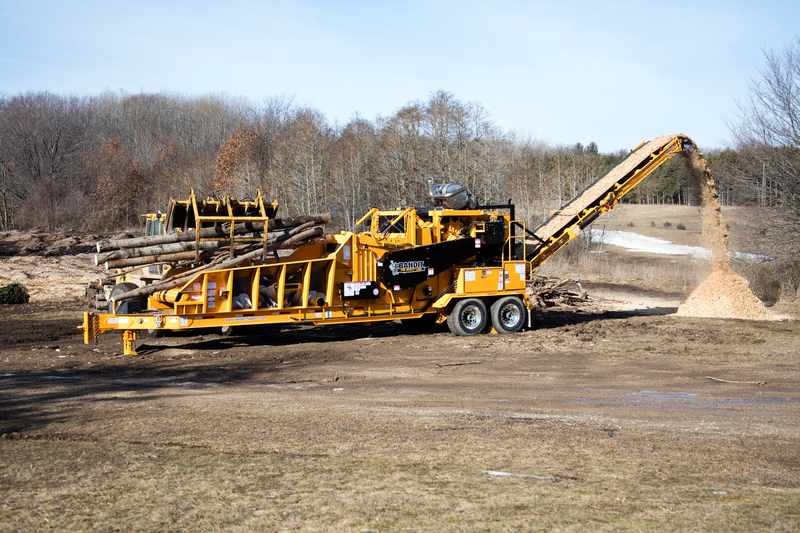 This impressive chipper features a 24” diameter chipping drum and at 7,198 lbs. it’s easily towable. Built stronger using the highest quality components and assembled with solid welded construction, the Intimidator 15XPC will outperform and outlast all other 15” capacity drum chippers on the market. The Intimidator 19XPC is a powerful drum-style chipper that can easily handle big limbs, forked material and whole trees. 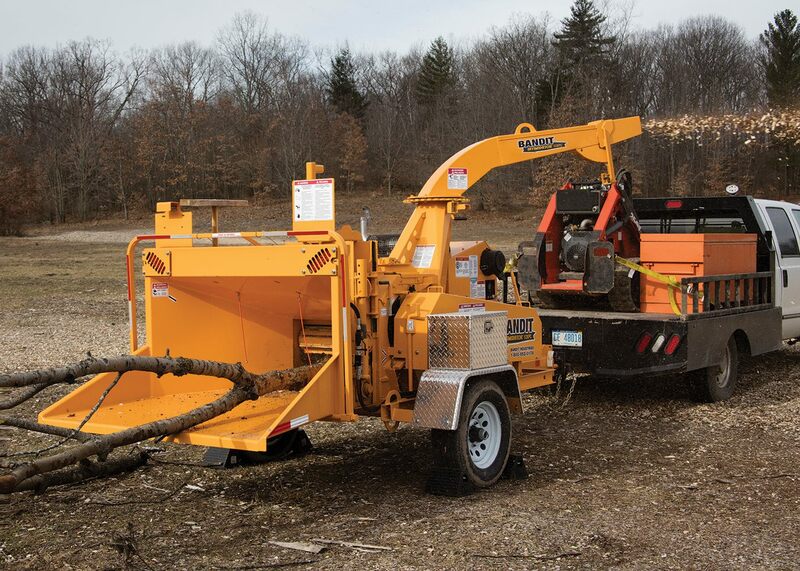 It’s an extremely versatile chipper, with one large 15-3/4” diameter top feed wheel, the 19XPC has the power to pull in the largest limbs and even whole trees. 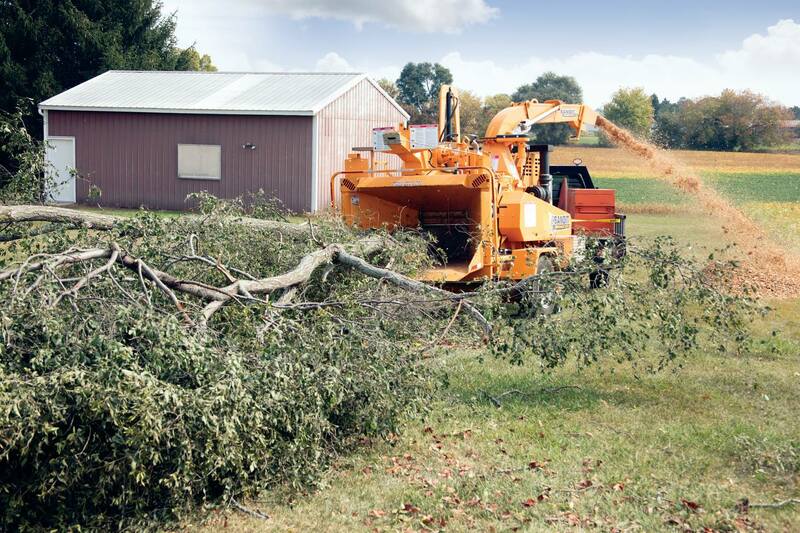 With its solid steel welded construction, proven feed system, durable components, and chip throwing technologies, the Intimidator 19XPC is a favorite for tree services needing a high-capacity chipper that’s easy to maneuver. The Beast® Model 2460XP has added to the horizontal grinder lineup. Available as a towable or track machine, the Model 2460XP is the machine built from the ground up to outperform every other horizontal grinder in its class. Special attention was paid to making the 2460XP among the easier horizontal grinders to service and maintain. Common maintenance items were designed to be accessible from either the ground or on built-in platforms. This reduces maintenance downtime and increases the useful uptime. 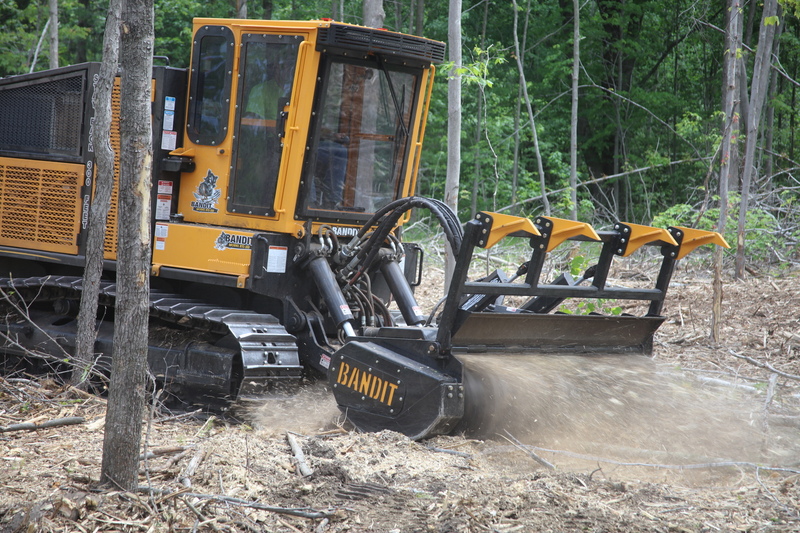 The BTC-300 is the next evolution for Bandit high-performance land-clearing track carriers with interchangeable forestry mowers and stump grinding heads. It features a deluxe, climate-controlled operator’s cab that tilts for easy maintenance access. Cabs are fully ROPS/FOPS/OPS certified and comfortable, with all machine functions controlled from an air-ride captain’s chair. The BTC-300 rides on a proven CAT 315 steel-track undercarriage for exceptional all-terrain capability. 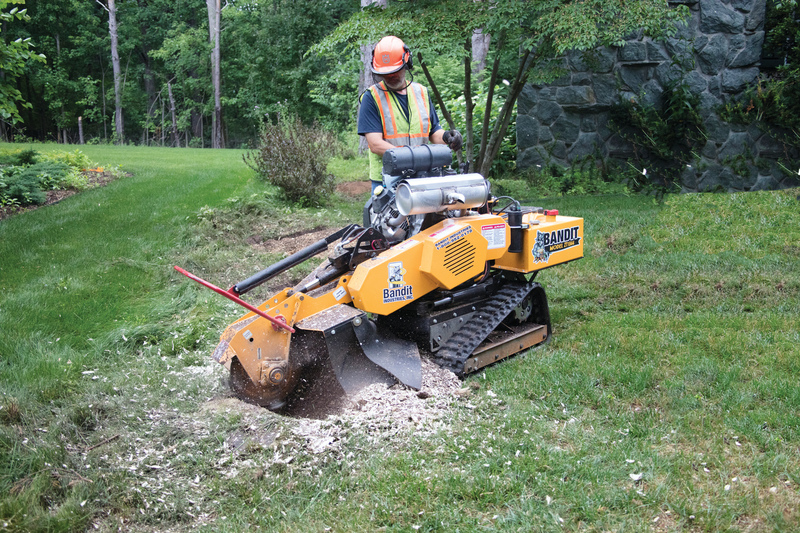 The 90” mowing attachment easily clears brush and small trees, or switch to the 44” diameter stump grinding attachment for aggressive stump removal. With Bandit’s enhanced Color Max colorizer system, creating beautiful colored landscape mulch from waste wood has never been easier. The Color Max colorizer system is a quick, efficient, cost-effective system that outperforms all other coloring systems, creating the highest quality colored mulch faster and with lower operating costs. The Color Max coloring system sprays color directly to The Beast’s patented cuttermill, which thoroughly coats material during processing. 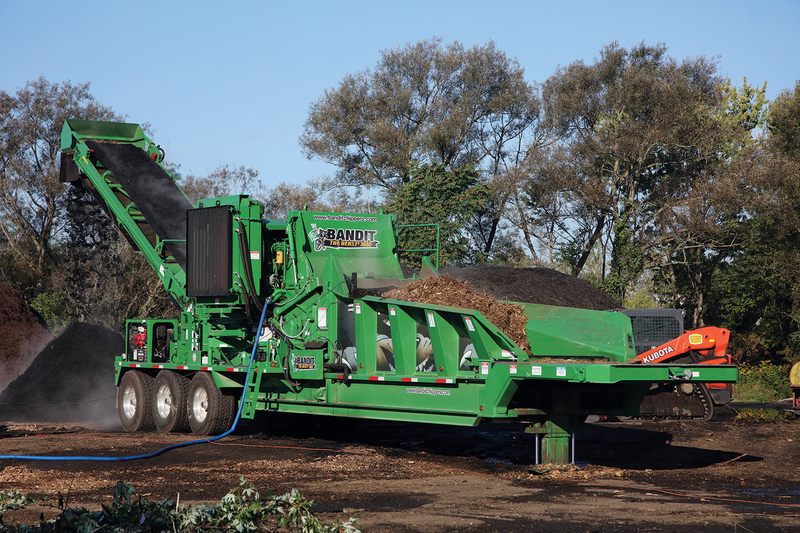 This system takes full advantage of the high-production capabilities of The Beast, distributing color throughout the mulch as it’s broken down. Because color is applied to the cuttermill, coverage on the product is distributed evenly while also being efficient with the colorant. Compared to the competition, The Beast using the Color Max system can easily produce 35% more colored mulch per hour, while using less 30% less water and 25% less colorant. Call your nearest authorized Bandit dealer to schedule a demo today!